Brilliant Scientists. Emerging Entrepreneurs. Tech Investors. Activist MPs. Every year, the Forum of Young Global Leaders selects the most innovative, enterprising and socially minded men and women under the age of 40 – who are pushing boundaries, disrupting systems, and rethinking the world around them. The Forum of Young Global Leaders is made up of individuals from all walks of life, from every region of the world and every stakeholder group, including business, politics, civil society, academia, and arts and culture. YGLs head governments and Fortune 500 companies, win Nobel Prizes and Academy Awards, fuel the Fourth Industrial Revolution, and become UN Goodwill Ambassadors and Social Entrepreneurs. Bold, brave, and action-oriented, these extraordinary leaders commit their time to shaping a better, more inclusive future. 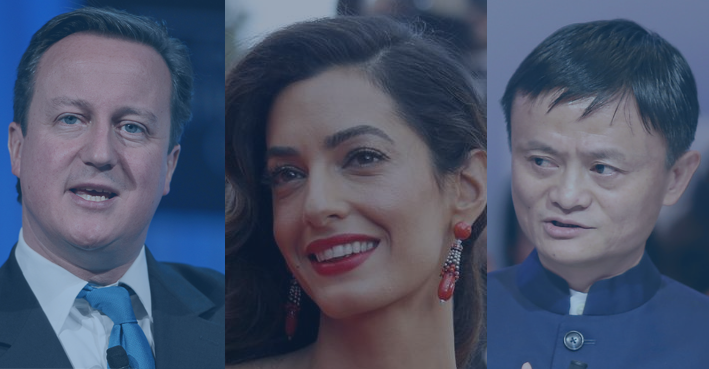 What do British Prime Minister David Cameron , Yahoo CEO Marissa Mayer , astronaut Naoko Yamazaki , top software engineer Farida Bedwei , Alibaba Group chief Jack Ma , French Minister Emmanuel Macron , President of Al Baswala NGO Amira Yahyaoui , Kenyan ophthalmologist Andrew Bastawrous , Airbnb CPO Joe Gebbia , Human Rights Barrister Amal Clooney , and Prince Haakon of Norway, all have in common? They are each, a past or present, YGL – who has participated in a five-year leadership journey with the World Economic Forum to break down silos, bridge cultures, and use their collective skills to improve the state of the world. As members of the community, they accelerated the impact of their own organizations, while coming together through community collaboration to combat the world’s most pressing issues. The 2017 Class of Young Global Leaders is accepting applications until 31 May 2016. If you know an exceptional leader who is courageously shaping a better future, who has an impressive track record of positive impact, and has a desire to learn from a truly exceptional community, nominate them now .